Getting a decent night’s sleep is important in so many aspects of our lives. It affects our mood, our relationships, our productivity…and it even affects our weight. It may sound counter-intuitive but lying around and getting a snooze on can actually help you to lose weight. Conversely, getting less horizontal hours and spending more time on your feet can prevent you from getting in shape. I don’t mean you’ll physically ditch pounds while asleep – that’d be awesome – but a healthier sleep cycle will lead to a healthier you. Research shows that high blood sugar levels can lead to poor sleep, and vice versa. Our reaction to sleep loss causes us to reject our body’s insulin, which normally converts glucose into energy. With this rejection comes high blood sugar and sleepless nights (sounds like a break-up, right?!) And the next day we eat excess sugar to give us energy which results in – you got it – another bad sleep. And all that sugar eating? Not the best way to lose weight. There’s more. There are 2 other hormones that our sleep affects: leptin and ghrelin. They control our hunger levels and are often called the obesity or fat hormones. An early night helps you to produce high levels of leptin and reduces your desire to snack mid-snooze, or to binge over breakfast. Without enough sleep your body’s leptin levels drop, so your appetite increases. You might feel colder and crave high-calorie foods – what we call ‘comfort foods’ – to keep you warm and get you through the working day. We’re all familiar with this hormone – that sudden feeling of ‘oh my god, I need to eat NOW!’, which can strike so suddenly. Well, a decent night’s sleep lowers your ghrelin levels and keeps your stomach from growling through the night. Overall, you need to develop a regular pattern of enough sleep to keep these hormone levels steady. But be warned: too much sleep (over 10 hours) can affect these hormones, too. You’ll wind up feeling over-tired and lethargic, again craving salty and fatty foods. My advice? Get into a routine of ‘early to bed, early to rise’. You’ll wake up not starving but ready to eat a sensible breakfast, with much more energy to face the day. And how do you manage to get to sleep earlier in the first place? Well, these guys recommend some great ways to get comfortable quicker. Nice one. 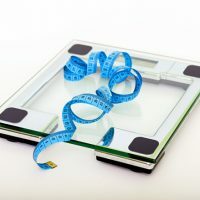 While the act of sleeping itself may not help you shed weight overnight, it does make your body stronger – which makes it easier for you to lose weight in the first place. Because getting enough sleep (7 to 8 hours) boosts your immune system, which basically makes you Superman. Well, not quite. But it does help you to fight off colds and break down food properly, plus it improves your circulation. And the better you feel on the inside, the more energy you’ll have for looking good on the outside. Whether it’s running or yoga or team sports, a good night’s sleep will keep you stronger and fitter. And an active lifestyle is of course, one of the best ways in which you can keep an eye on your weight. We’ve all been there – we stay up late, so we eat more. There’s a great movie on and we need snacks to go with it. And that voice in our heads – not the angel, the other one – seems to taunt us for salty, fatty and sugary foods after 8pm, when we really should be shutting our internal organs down for the evening. By going to bed at 10pm, you’re taking the majority of the temptation out of the equation. Nice one. As well as choosing when we should eat, we also have the ability to choose what we should eat. Lucky us. Unfortunately, the less sleep we get, the more tired we’ll be. And the more tired we are, the less energy we have to exercise or to make healthy food choices. Hence us ditching that walk with a juice in favour of a burger on the couch. Whoops. As we’ve seen, getting the right amount of sleep helps us to maintain a healthier lifestyle and control our weight. It can also help people who are already struggling with obesity or who are overweight to get into shape. Good news all round. 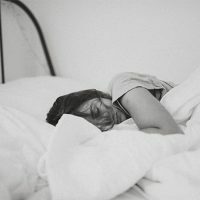 My top tips for getting a good night’s sleep? Get into a relaxing bedtime routine about an hour before you settle down. Have a long bath, diffuse your favorite essential oil, like sleep-enhancing lavender, and switch off any screens that emit blue light. Because sure, while it might be nice once in sometimes to watch the latest blockbuster in bed, it won’t give you a healthy sleep routine – or a healthy lifestyle, either. 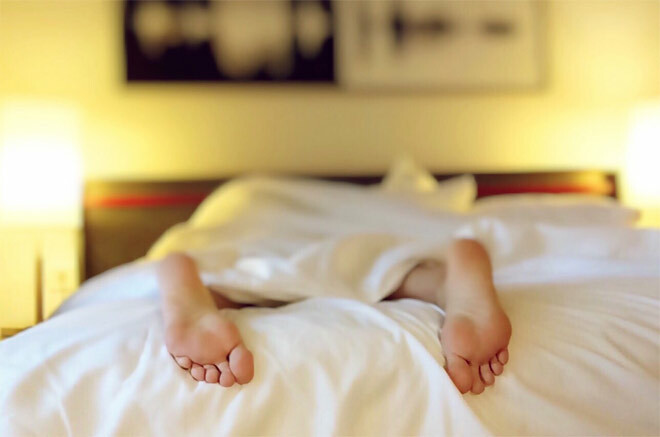 Finally, don’t ignore the mattress you sleep on – get yourself a good quality mattress to improve your sleep quality and to sleep more comfortably. So read a few pages of a good book instead, get to sleep early and awake feeling revitalised. Your mind and your body will thank you for it. Better to have enough sleep than suffer from hormonal imbalance that will result to binge eating.